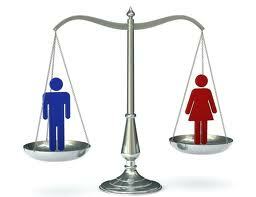 Effective January 6, 2014, New Jersey employers with 50 or more employees must post and distribute a notice informing workers of their rights for equitable pay and of the prohibition against gender discrimination. The notice can be accessed at here. Any time an employee requests a copy of the notice. Employers must also obtain a signed acknowledgement of receipt of the notice from each employee that he or she has received it and understands it. This must be done every time an employee receives the notice and the signed acknowledgments must be maintained by the employer. Employees are supposed to complete the acknowledgement within 30 days of receiving the notice.